Processing means it is in the process of being sent. Emails should stay here for only a short time. If you have any emails that are stuck in this status, it may be because there was an error with the recipients. Please contact help@convertkit.com so we can help you out with that! 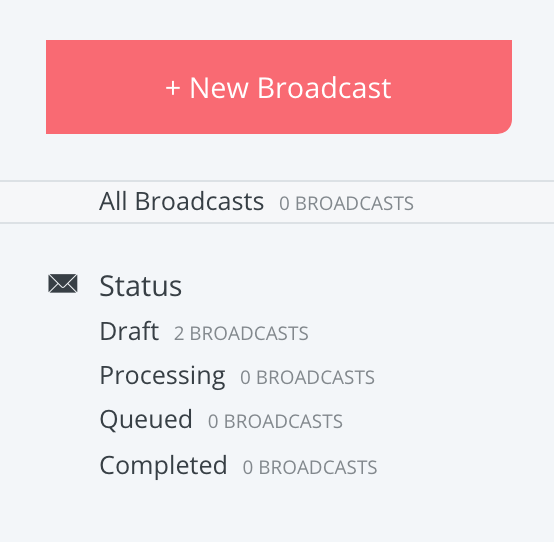 How are the Broadcasts ordered? Broadcasts have always been ordered by date of creation, not necessarily date it was sent or date scheduled.